Becoming a Member of the CQI and a Chartered Quality Professional is the gold standard for professionalism in Quality, putting you at the same standard as other Chartered Professionals. Membership offers you infinite development opportunities and is an invaluable way of gaining professional recognition for your expertise and commitment. The CQI chartered members get to use the title of Chartered Quality Professional. IRCA (The International Register of Certificated Auditors) is a division of the CQI and is the leading professional body for management system auditors. GBS Corporate Training has just released a suite of Practitioner level Quality courses. By taking just two of these Practitioner-level courses, you will have completed the training requirements needed to be considered for Chartered Quality Practitioner Status by the CQI. Our Practitioner courses provide delegates with a full understanding of management level Quality and auditing topics and shows them how to apply this knowledge in their organisation and industry. Our certified training courses provide you with the skills and knowledge to support your application for CQI membership or IRCA certification. Equips Managers, Team Leaders and Improvement Leads with the practical skills, tools, and structured methodologies for problem solving activities. Equips Managers, Team Leaders and Improvement Teams with the practical skills, tools, and structured techniques in product/service management in the early phases of the product/service lifecycle. Our courses are mapped to the CQI Competency Framework, developed to define the abilities that every successful Quality Professional needs. Our program content allows you to master the key competencies, which are needed in order to become successful in your role. 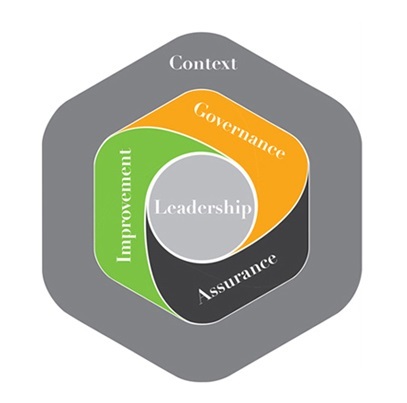 By using the unique CQI Competency Framework, you are more likely to influence others to ensure that ‘Quality’ remains central to everything within your organisation. The Competency Framework can help you plan and progress your career, and can help employers to give the best support to their staff. These 3-day courses are highly interactive, enabling attendees to immediately apply what they have learnt across different business scenarios. Attending two of our certified training courses provides you with required Quality training to support your application for CQI membership or IRCA certification. GBS is very flexible in the training programmes we create for you. We can tailor course content to cater for your specific business needs or to address skills shortages in your organisation. Through this approach, you can be sure your employees are gaining new knowledge and skills that will be relevant to your company.